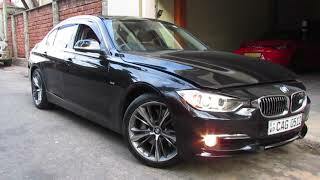 Fact of the matter is, when it comes to achieving fuel efficiency the market is divided into two camps. The European carmakers – especially German ones – focus more on improved fuel efficiency with diesel engines, whereas the North American and Asian markets feel that hybrids are the answer. Whichever it is, European carmakers decided to take part in the growing hybrid market lately by offering hybrid alternatives to their sedans. 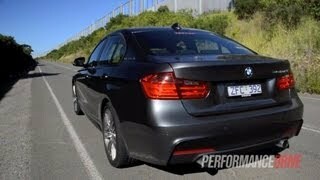 Such is the case with BMW and the BMW Activehybrid 3 2013, the latest Bavarian gas/electrical sedan based on the 3-Series. This particular model is equipped with a 3.0 liter turbocharged engine developing 300 horsepower, mated with an eight-speed ZF automatic transmission. 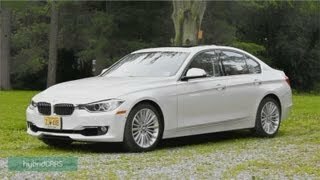 The system used in the 3-series hybrid is the same as the one in the Activehybrid 5 and 7, meaning that the torque convertor in the gearbox has been replaced by an electric motor developing 54 horsepower. Combined, the electric and gasoline engines deliver 335 horsepower and 332 lb-ft of torque. 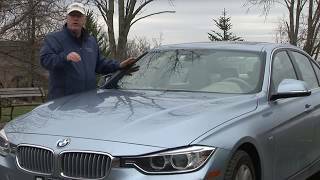 That's a 35 horsepower and 32 torque increase when compared to the normal BMW 335i, but considering the fact that the hybrid system adds nearly 300 pounds to the sedan's weight, they both remain pretty much the same in terms of performance. In fact, the Activehybrid 3 is 0.1 seconds slower than the BMW 335i 2013, but to be honest we're more interested in fuel efficiency. Well, apparently the hybrid is indeed a bit more economical than its gasoline-only siblings, but it's nothing to write home about. It achieves 33 mpg highway and 25 mpg city, whereas the 328i covers 23 / 34 mpg highway and city respectively. Overall, the 3-serieshybrid is clearly no Prius, but that's not necessarily a bad thing, is it? Trim levels include the $1,400 Luxury, $1,400 Modern, $1,700 Sport Lines and the $3,200M Sport. Speaking of pricing, the BMW Activehybrid 3 2013 will set you back $50,195 including the $895 destination fee, so it's basically $6,500 more expensive than the BMW 335i 2013. I suppose that extra cash will be recovered in time by driving more economical, at least on paper. Availability-wise the hybrid is expected to hit the US market this fall. As for Europeans, theActivehybrid 3 is expected to hit dealerships by the end of the month.